The South End in Boston has some of the best restaurants, cafes, and markets in the greater Boston area. I’m embarrassed to admit that I haven’t visited nearly enough of them. It’s a result of living in Cambridge, which oddly feels really far away from the South End, even though it’s only about five miles away. From Cambridge there’s no direct public transportation to the South End, and parking is difficult in the area. As a result, more often than not we find ourselves eating out in Cambridge instead. Next week, however, there’s a cool even that allows us to sample a bunch of South End restaurants all at the same time. The Taste of South End is happening this Tuesday, March 3rd 6:00 to 9:30 PM at the Boston Center for the Arts Cyclorama (539 Tremont Street) in Boston. Proceeds from the event benefit AIDS Action, a organization committed to providing prevention and wellness services for people vulnerable to HIV infection. I’ve never gone before in the past, but I’ll be there this year! I’m so excited to finally try so many of these places that I’ve been meaning to try. The full list of restaurants is below. I’ve linked to the ones I’ve visited before. Heh, sadly there are only a few! Addis Red Sea, Aquitaine bar á Vin Bistrot, B&G Oysters, Back Bay Harry’s, Barcelona Wine Bar, Boston Chops, Cinquecento Roman Trattoria, Da Vinci Ristorante, DAVID’s TEA, Davio’s Northern Italian Steakhouse, El Centro, Elephant Walk, Estelle’s, Five Horses Tavern, Flour Bakery + Café, Formaggio Kitchen South End, Franklin Café, Gaslight Brasserie, Haley House Bakery Café, Kitchen, Masa, Mela, Metropolis Café, Mistral, Myers + Chang, Orinoco, Petit Robert Bistro, Picco, Sister Sorel & Tremont 647, South End Buttery, Stella Restaurant, Stephi’s on Tremont, Sweet Cheeks Q, The Beehive, The Butcher Shop, The Gallows, The Upper Crust Pizzeria, Trophy Room, Wink & Nod, Black Bird Doughnuts. On top of having a chance to sample food from the above-listed restaurants, there will also be live cooking demonstrations, extensive wine tastings, beer sampling, a silent auction, and a raffle. The organizers of the Taste of Sound End have graciously offered to give me a pair of tickets (value $200!) to give away. To enter, please comment below telling me your favorite restaurant in the South End. If you’ve never eaten in the South End, just tell me your favorite restaurant in Boston. One entry per person. Giveaway ends this Saturday, February 28th at midnight EST. The winner will receive both tickets. I will notify the winner by email. If the winner does not respond within 24 hours, I will pick another winner. If you want to purchase tickets, you can purchase them at this link. Elizabeth – please contact me ASAP to redeem your prize! Myers+Chang! I also haven’t been to many restaurants in the South End… yet. I really liked this hamburger joint next to the Harvard bookstore. 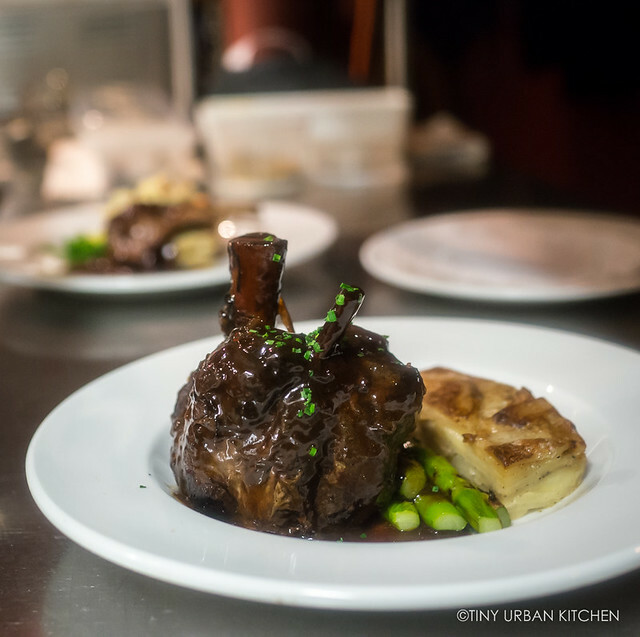 I haven’t eaten in South End before, so it’s definitely on my “to do” list. I’ve heard good things about Elephant Walk and Tremont 647. Of course, Flour looks fantastic as well. My favorite restaurant in Boston thus far is Alden & Harlow, but when I really want ramen, Santouka tops the list with their al dente noodles! I’ve also been meaning to try Shojo because your post on it looked amazing. I love the Beehive! Amazing risotto! So many great places to chose from! I love The Butcher Shop but let’s be honest just about all of them are great! Well, it was Hammersley’s, but sadly that’s no more. I went to Beehive recently and really enjoyed it. Myers + Chang + Flour … That’s a thing right? (I’ve only been to a few South End spots, I’d love to try Gaslight! Flour Bakery is the best! I really liked Beehive as well! I’m not sure if this counts as being in the South End, but I had a good experience at Estragon – they had really creative and delicious small plates! The Beehive! Their food and drinks are both amazing! Favorite restaurant in the South End? It’s a toss-up between a few favorites…so I’ll share the one I can’t wait to go back to — Toro! My favorite casual place is Picco – always fun and great food. And, they’ll be at the event! For me it’s a toss-up between Toro and B&G Oyster, both of which I’ve just tried for the first time in the past year! My favorite restaurant in the South End is Myers + Chang! So many good ones, but I really like Sportello. It’s hard to chose just one, but I’d have to say The Gallows! I’m not familiar with many South End restaurants, but I really miss the Cambridge Addis Red Sea, so would be thrilled to sample their food again! I am a huge fan of B & G Oyster. I love the food. I love the inside. I really love the patio. Also love Toro …and Myers & Chang…..trying to get to Coppa. So many restaurants, so little time. I’m from Somerville so I hardly get over to the South End, but I did try Barcelona Wine Bar once and loved it! I work right in the South End. I love Flour for lunch, Picco for a fun outing, and have always wanted to try Toro! My favorite restaurant is probably Hei La Moon! I like the “kaiseki” at Oishii! Went to Myers+ Chang twice and had fun experience both times sitting in front of open kitchen. But in terms of variety and deliciousness, my favorite South End restaurant is Toro! Their paella is great. Favorite Boston-area restaurant is Sweet Cheeks Q just because of their buttermilk chicken. I absolutely love going to Jae’s Cafe on Columbus Ave. The Mango Chicken with Brown Rice is delicious. The evening atmosphere is quite relaxing and mellow. 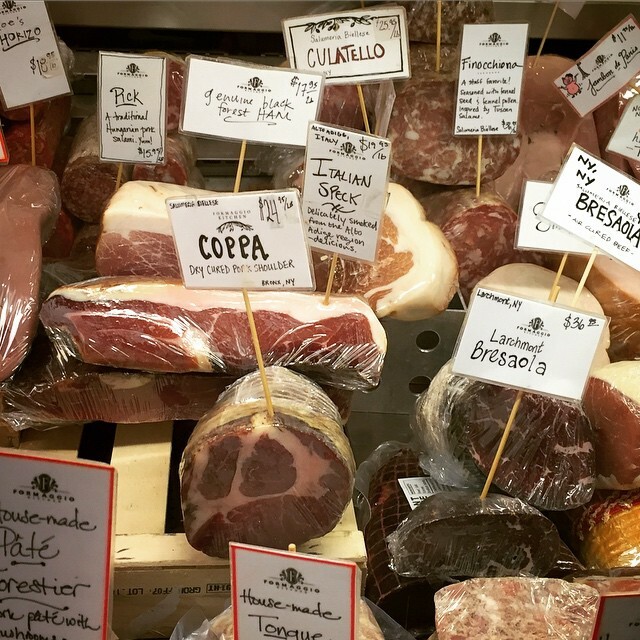 Formaggio Kitchen is my happy place- Their cheeses and cured meats make all of my dreams come true.